Remember that my cookbooks are now available at Hammock Hardware in Largo, Florida! You can find them at 13870 Walsingham Rd. Mother’s Day is coming up this weekend, so pick up a book for Mom and one for yourself. You deserve it! 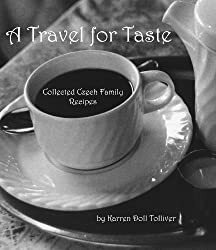 Plus, you can buy my books on Amazon, as always! 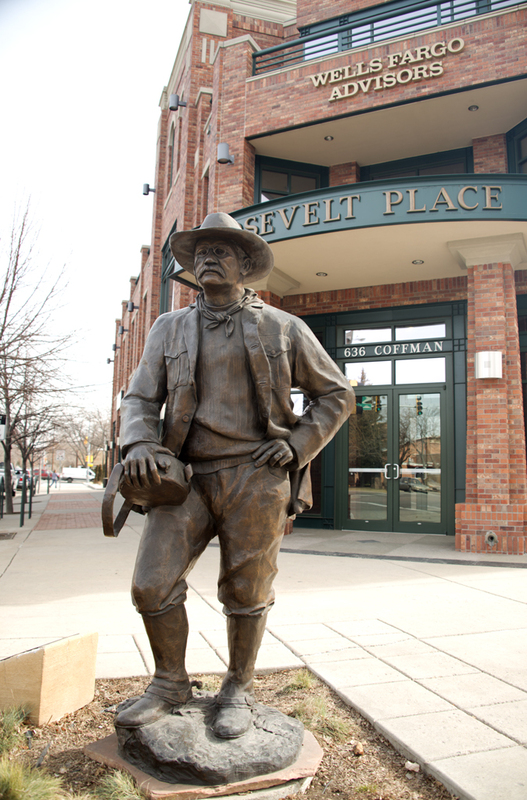 I was mining RoadsideAmerica.com again for local things to see when I ran across a blurb about a Teddy Roosevelt statue in Longmont, just up the road. So I set out. I really like Longmont, and it’s nearby, so I’ve ventured there fairly often. I’ve brought you Longmont’s Cheese Importers and the museum where they had the Lowrider exhibit last year. I’ve always thought Theodore Roosevelt was an interesting personality, but I really didn’t know much about him. I vaguely remembered my elementary school history lesson in which TR led the “Rough Riders” up San Juan Hill, though I couldn’t tell you where or what war it was (it was in Cuba in 1898, during the Spanish-American War). I know Robin Williams played tiny Teddy on a horse in the “Night at the Museum” films. I knew he was president but not when (1901-1909, President #26), and I knew he had a plush toy named after him (Teddy Bear, 1902, with the manufacturer having secured the use of Teddy’s name, though he reportedly hated being called that). You can tell I’ve filled in some knowledge gaps preparing for this blog post. In addition, I learned that he was President William McKinley’s vice-prez. He became president after McKinley was assassinated near the beginning of his second term. Plus, who doesn’t love a person whose trademark comment is, “Bully!” meaning “Great!” and is known for saying, “Walk softly and carry a big stick.” I’ve noticed a fairly regular mention of TR in these parts because he was the president that had the foresight to establish the national park system – Colorado has four national parks, plus a combination of 12 more national historic sites, historic trails, national monuments and so forth. And one of those national parks is Roosevelt National Park. So when I got to Longmont and made my turn, I saw Teddy (sorry, Theodore) standing there, leaning over the railing of a caboose, just waiting for me! You can climb up there and do selfies with him and everything! Yes, I did a selfie, and, no, I’m not posting it! This sculpture is by Dan Snarr of Utah. 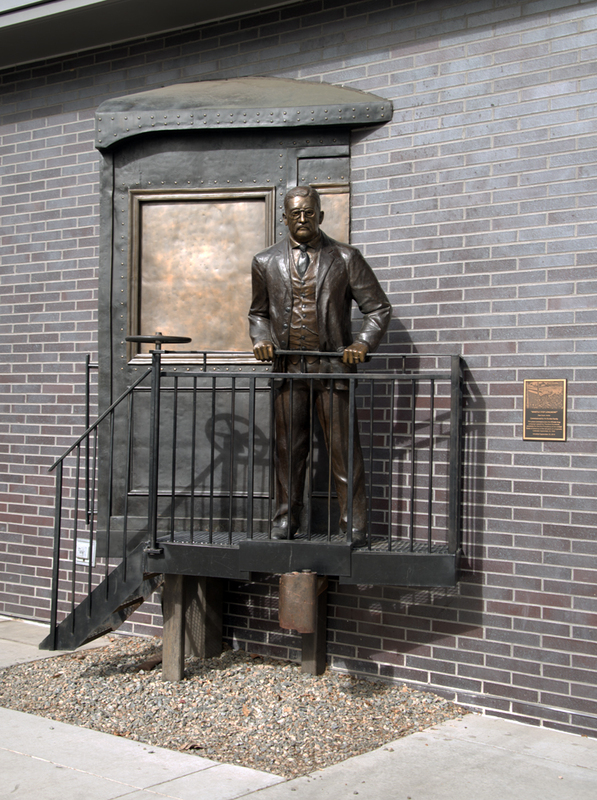 It was inspired by an actual whistlestop that Roosevelt made in Longmont in 1900 while campaigning as McKinley’s vice-presidential candidate. Click here for a historic picture of that event and you can see where the artist got his inspiration. 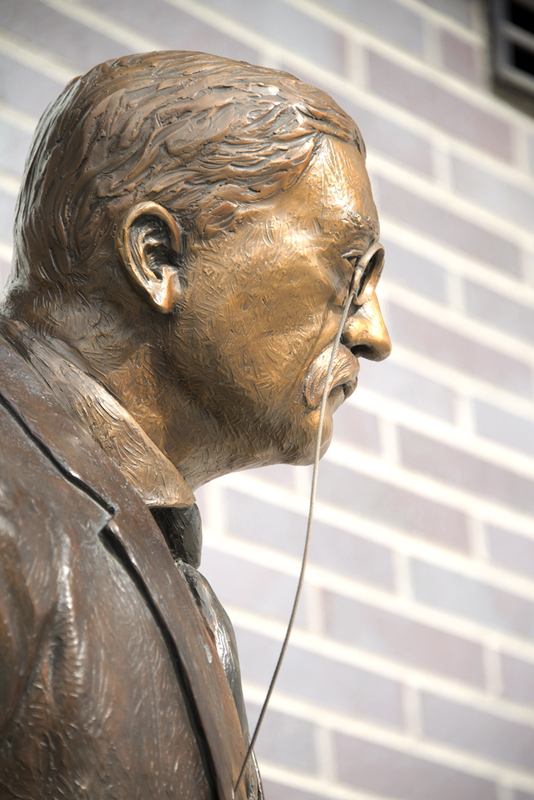 The sculpture was unveiled on September 25, 2014, exactly 114 years to the day after the whistlestop. While looking for a parking space so I could take the above photos, I discovered that there is a Roosevelt Park just down the block. Actually, the 3-acre park pre-dates the Roosevelt sculpture. It was established in 1872 as Lake Park, with an ice rink and horse racing. 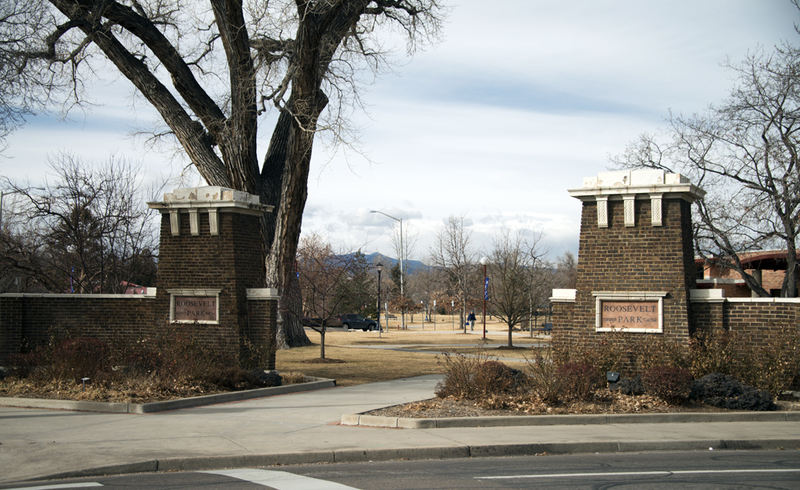 It was renamed Roosevelt Park some time between 1910 and 1915. Although no one knows for sure it was named after TR (as opposed to FDR, I suppose), the Longmont Historical Society weighs in on the side of Theodore. 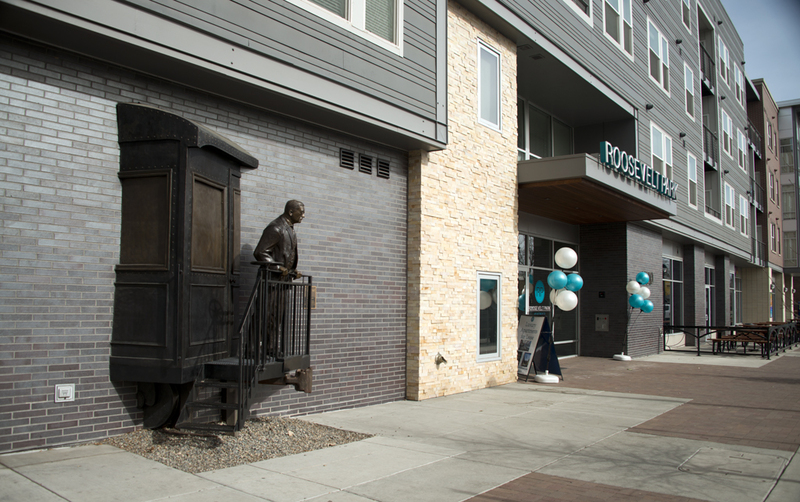 Not only that, but there is a second TR sculpture just across the street! Notice it’s in front of Roosevelt Place building! It was actually installed before the whistestop statue, in 2004. 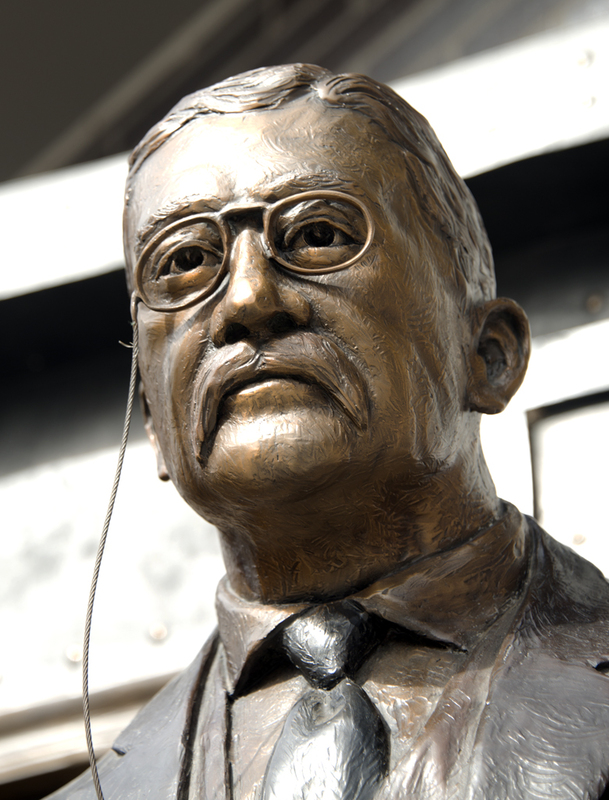 It’s by the same sculptor and it’s called “Roosevelt – the Conservationist”. 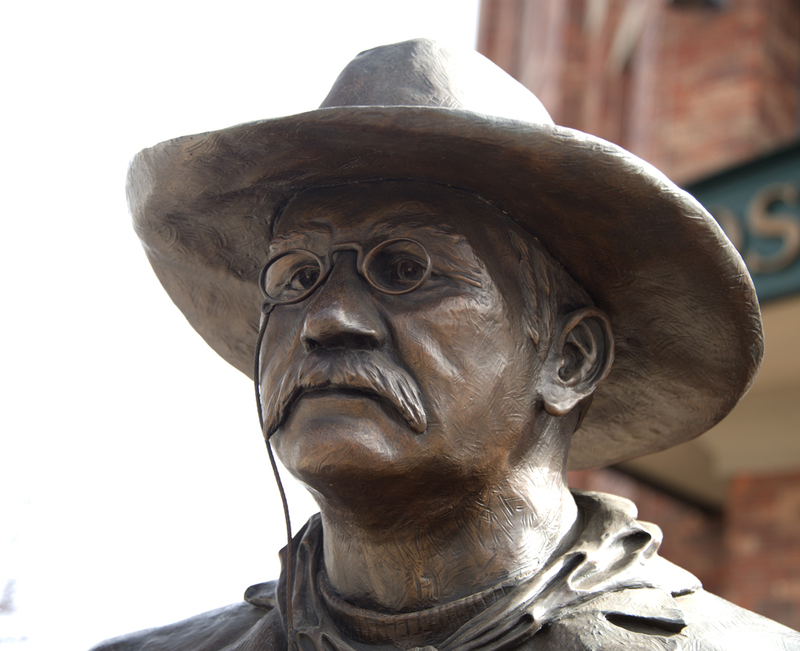 This one depicts TR as the rugged outdoorsman. A tender aside: on Valentine’s Day 1884, TR’s mother died of typhus AND his 22-year-old wife died in childbirth. He wrote in his diary for that day simply, “The light has gone out of my life.” He was in such grief over losing his wife that he spent the next few years in the Dakota Territory as rancher and cowboy. It’s said that he spent most of his life in the East but always considered himself a westerner at heart. 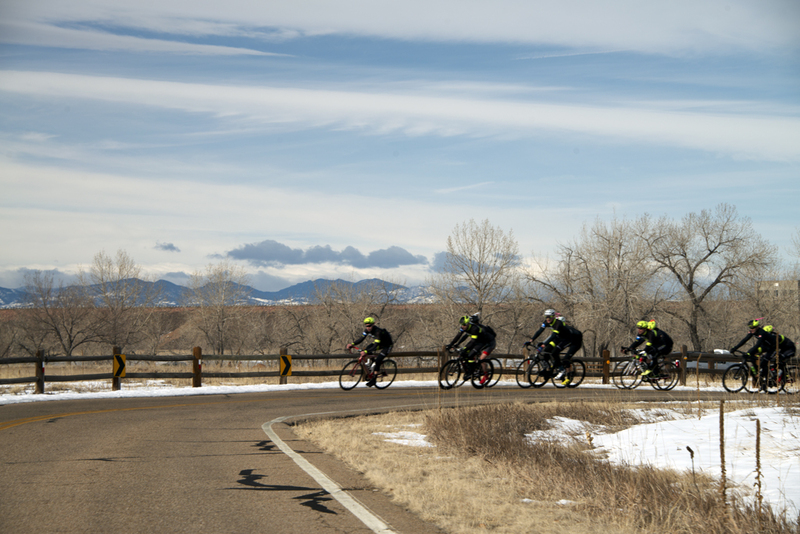 I’m also looking forward to showing you more of Longmont and surrounds. Stay tuned!